Last week, I was out of the country for a friend's wedding and, as soon as I returned, I had loads of work awaiting me. Also, on Friday my friend, Koen, arrived from the Netherlands; so, I've been showing him around town. Today is a national holiday, so, finally, I have a day to myself, and I have many things to post. First up: I dyed my hair. I'm very much inspired/influenced by the seasons, as I like to change my perfume, makeup color scheme, and hair-color based on the time of year. 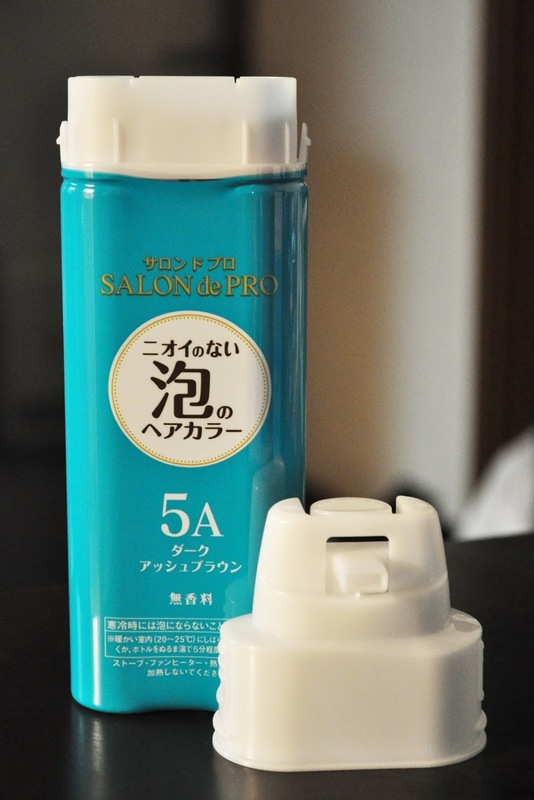 Salon de Pro is a foam-type dye that doesn't require any mixing. 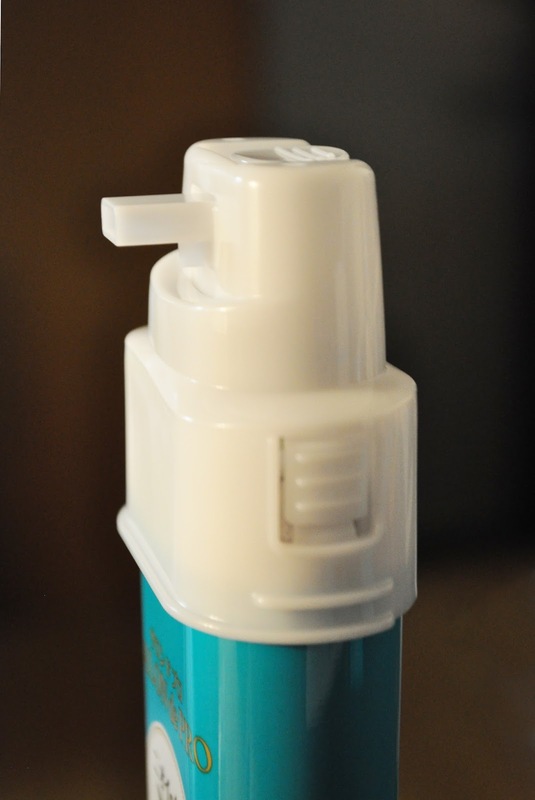 Just shake the metal bottle thoroughly, connect the plastic nozzle to the bottle, and squeeze. Due to my lighting, the color looks warm. In person, the color is a lot darker, and the grayish-green tinge is more prominent. 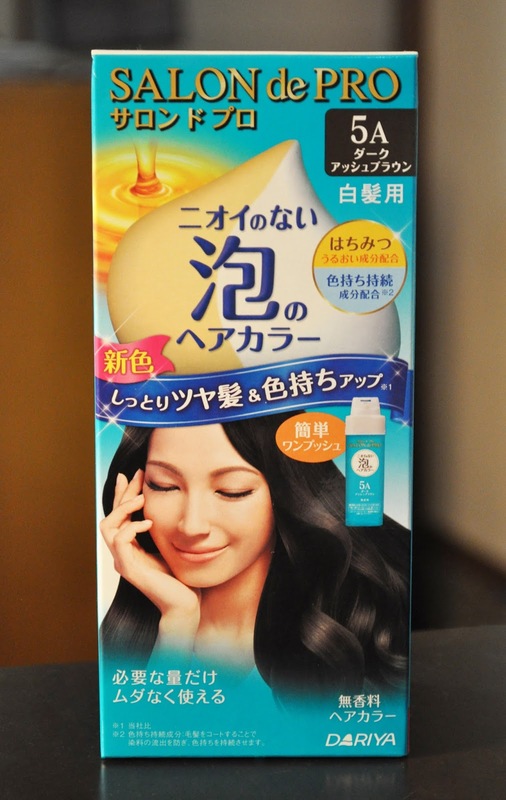 This Fall, I wanted to go darker, so I chose Salon de Pro hair dye in 5A dark ash brown. I am infatuated with the rich, grayish-green tinge of this dark ash color. I've received many compliments since I've dyed it...and that never hurts. 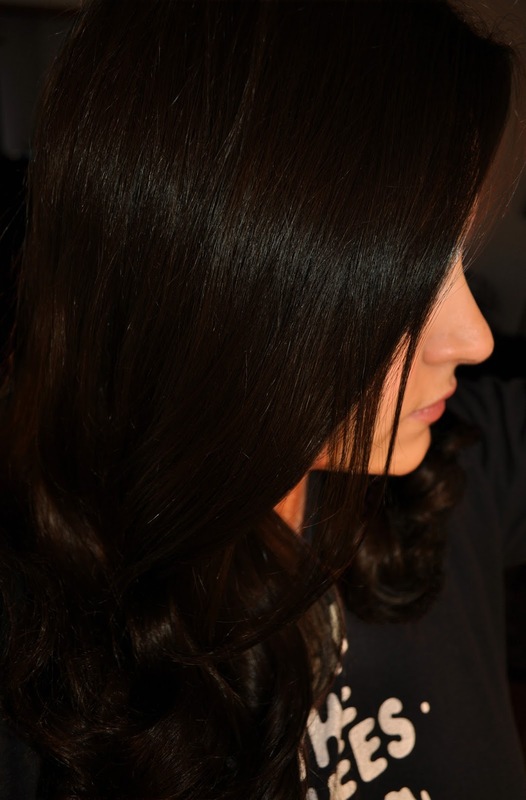 Do you seasonally change your hair color?